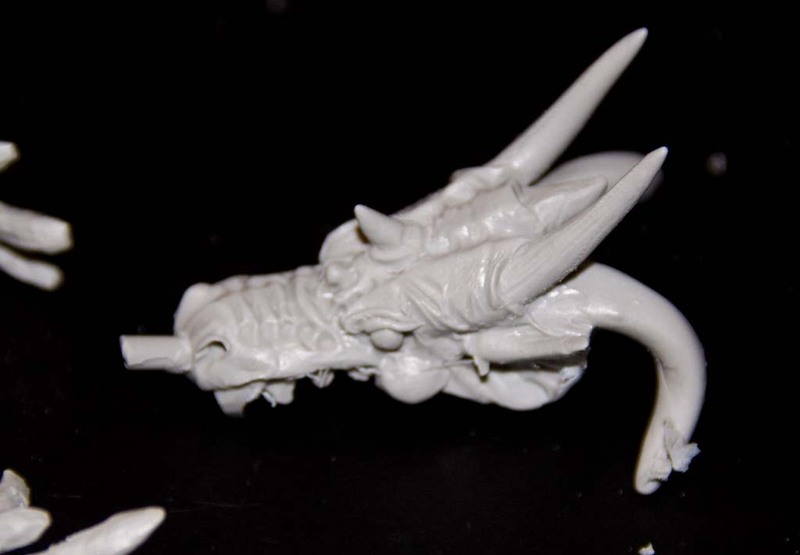 Picked by this Dragon Tyrath kit at the MDC stand at the Brampton Show a couple of weeks ago and thought I’d get a start on it. So first things first thought I would do a bit of research. 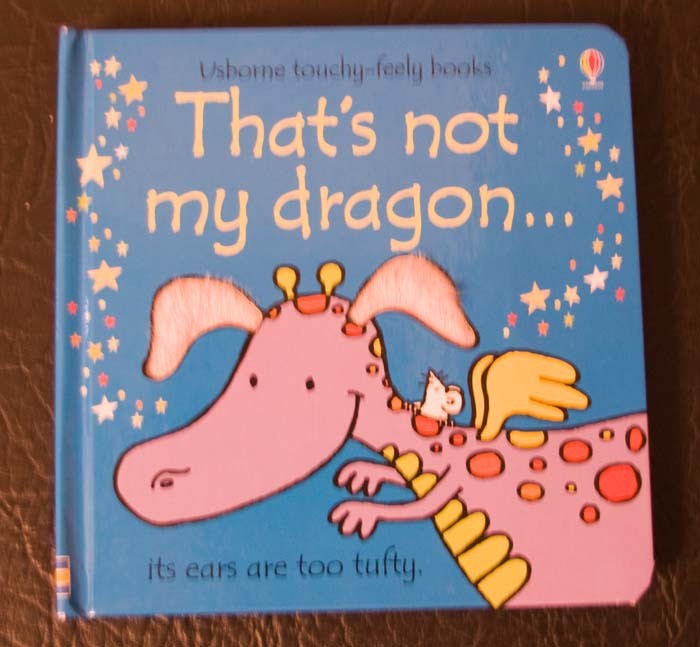 Unfortunately only Rosemary has a book on Dragons and it wasn’t much use. All I could find out is this dragon didn’t have fluffy ears. So onto the parts anyway. You get a nice base on which the completed dragon will perch. The body itself is very nicely cast and probably about 3inches long. 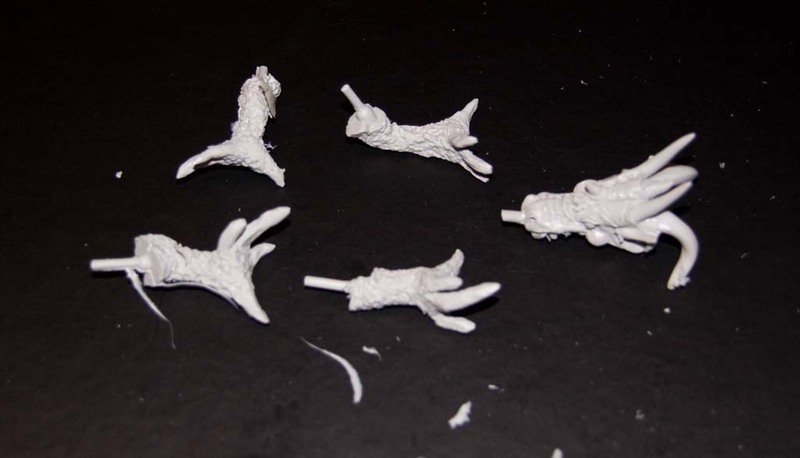 The claws and feet are separately moulded as well as the top of the head. The one thing which is a problem is the wings. The membrane of the wings is cast in a very thin resin and inevitably there has been some damage to them. 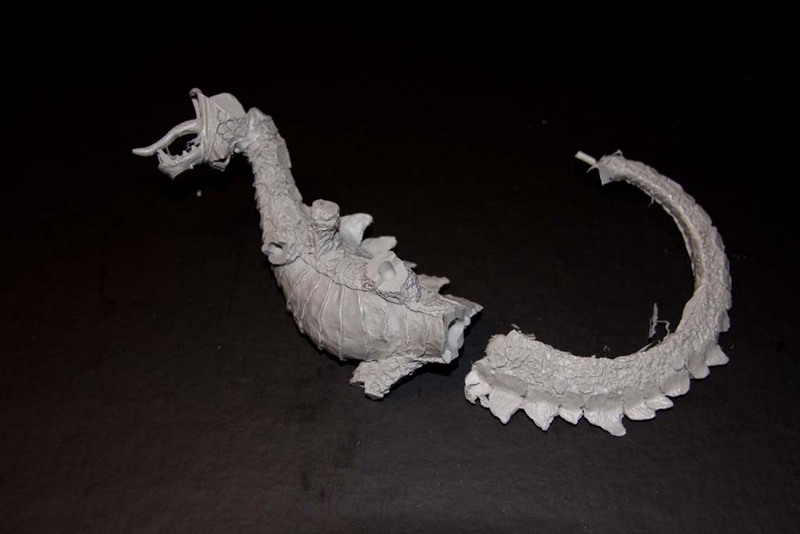 Now this wouldn’t necessarily be a problem if you wanted to build a tatty, well battered dragon but what I have in mind is for something a bit neater. 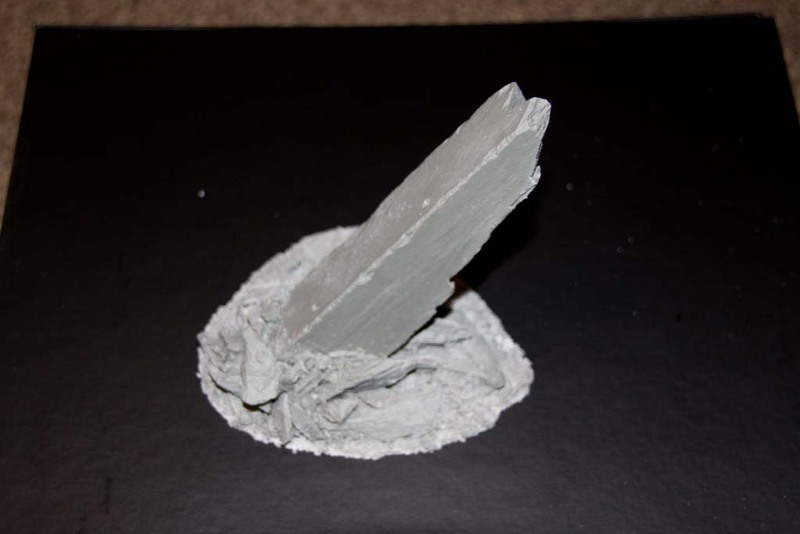 So going to try and cover the wing areas with some tissue soaked in PVA solution to create a new layer but keep the thin membrane effect. We’ll have to see how that goes.